My country has been overtaken by a truth-optional regime who have coined the term for their bold-faced lies as “alternative facts.” After such a hopeful first half of the season, I am struggling to come to terms with Milan’s current reality. So for Sunday’s match, I am going to go with this alternative reality scenario and tell myself some alternative facts. That Muriel is maybe a three. He's a disaster. Such a loser. 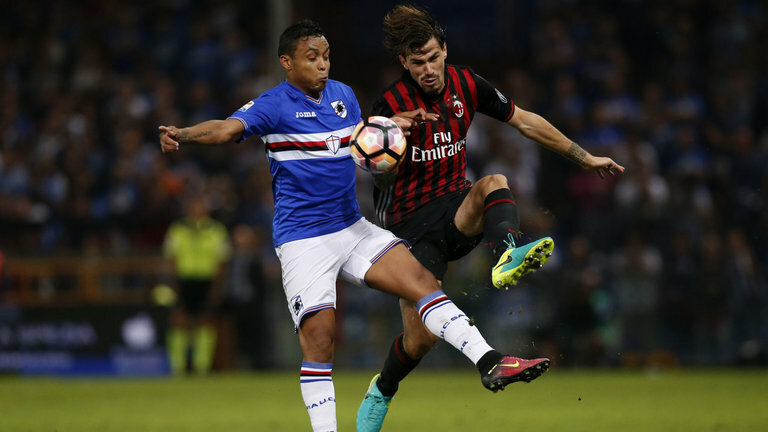 Milan host Sampdoria on Sunday at 12:30 CET (6:30am EST.) Twelve hours later, there will be some other game here in the United States that people think is really super. But it’s not. It’s a disaster. Our game is the best. Our lunchtime game at the San Siro will be viewed by more people than any game in the history of the world. Period. 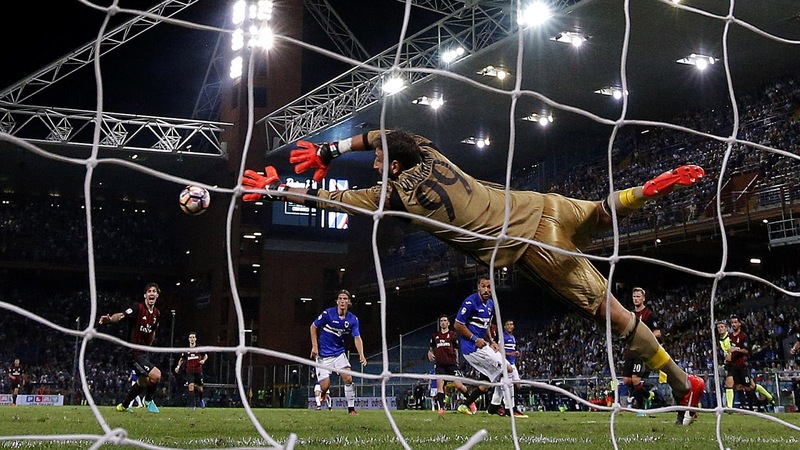 Sampdoria think they won last week vs. Roma, but they’re WRONG. Dead wrong. They are losers. They are the biggest losers ever. People say that Sampdoria are 13th on the table, but they are so wrong. Sampdoria are much, much worse than that. And that Marco Giampaolo is like a four. (insert mocking hand gestures here.) 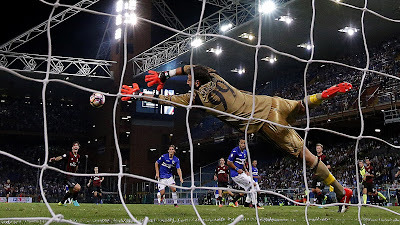 And for that disaster against Roma last week, he lined up: Puggioni; Skriniarm, Silvestre, Regini, Bereszynski, Quagliarella, Torreira, Bruno, Praet, Barreto, and Muriel. But they’re all losers. At least they won’t be bringing Amuzie, Sala, and Carbonero to the San Siro. They are injured. They’re weak. And they’re losers. Donnarumma has the greatest taste in kits ever. He is a winner. Milan are the greatest. Milan are the best. Our stadium is the best stadium in the world with the most fans ever. Montella is the best coach in the history of football. Ever. And he is so good, he is leaving at least four patriots behind on the injury table. These men are heroes. They are the best. Especially that Montolivo, he is the best captain ever. And also Bonaventura, De Sciglio, and Antonelli are injured. 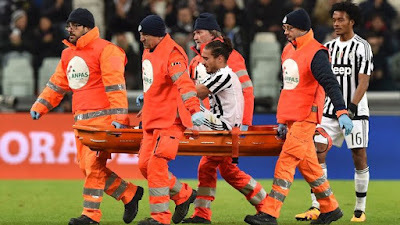 Calabria is fighting to regain fitness. Because he’s a winner. And that’s what winners do. Galliani is the best. Because we have so many patriot fullbacks who are being left behind, he is seeking an emergency transfer of a free agent. That free agent is Martin Caceres, formerly a Juventus player. He is a 10. He is the best. People say he’s been injured too much or talk about his drunk driving and accidents, but those things are not important. He is a winner. A 29 year old winner who is obviously too good for all of the other clubs who thought about signing him during the transfer window. I hope he passes his medical today and joins the club. Because Milan deserve only the best. He is the best at getting injured and the best at drunk driving, and that is why Milan deserve him. He is the greatest defender of all time. And Galliani is a hero for bringing him to Milan. An action shot of the greatest defender in the world. Last time we faced Sampdoria, Montella, the greatest coach ever, was so great that he started with Bacca on the bench. People said that he was trying to teach Bacca a lesson because he had stormed off the week before, but they are WRONG. Wrong, wrong, WRONG. Montella is the best. And he is so great that he left Bacca on the bench and then subbed him on so he could be a hero. And he was a hero. His goal was the only goal, and Milan won. Because you don’t need a lot of goals to be winners. Milan are winners, and they only needed one goal. Sampdoria didn’t even know what hit them. There is no way that Sampdoria are going to win this game because they are losers. In fact, I am going to write an executive order banning all Blucerchiati shirts. Because only losers wear those shirts, and Milan are winners. Just because Sampdoria had a disaster of a game against Roma last week where the score was Sampdoria 3, Roma 2, doesn’t make them winners. Milan are winners. Milan are going to make everyone forget that Sampdoria even exists. Milan are going to make that Gaga lady cry because she is going to be at that other game that no one cares about. Because Milan are winners. Milan are the best. Milan are the greatest team in the history of the universe. Period. This post is not meant to offend anyone or their personal beliefs. It was written as satire of a group of people. And to be fair, it’s much nicer to write alternative facts than what is really happening at Milan anyway.